STREAM 'U&I' - http://smarturl.it/fbz-uandi 'VACATION IN HELL' AVAILABLE EVERYWHERE NOW - http://smarturl.it/vacationinhell Flatbush Zombies U&I feat. 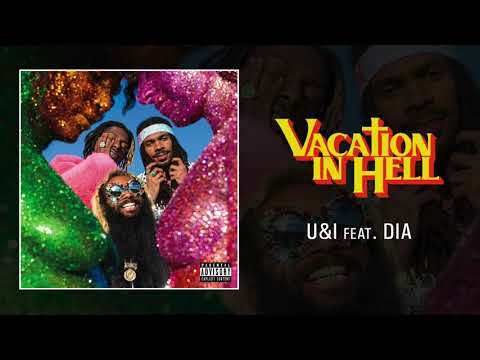 Dia Performed by Flatbush Zombies and Dia Produced by Erick Arc Elliott Written by: E. Elliott; A. Lewis; D. Simms; D. Doret; R; Gallego; L.Moses Lyrics by Erick Elliott, Zombie Juice, Meechy Darko, and Dia Guitar by Ruben Gallego Vocals by Dia Mixed by Joe Etchells Mastered by Bruce Templeton Engineered by Darly Lara, Tyler Dopps & Erick Elliott Erick Elliott (ASCAP) Issac Blaze Publishing (BMI) Publishing of The Dark (BMI) Ruben Dario Gallego Jr. (BMI) Contains a sample of “What You Don’t Want Me To Be” (L. Moses) performed by Lee Moses. Licensed courtesy of Essential Music Group. Published by Universal Music Publishing Group. Used by permission. All rights reserved. © 2018 Glorious Dead Recordings. All rights reserved.